Not to toot my own horn here but the latest JJ Putz flap only goes to support the idea expressed way back when that the Mets cared not about the results when they committed five guys and $10 million to get Putz, only the illusion that they’d boldly gone out and created some kind of impenetrable bullpen. That said, I think there’s more room for debating whether the team treated JJ Putz’s injuries properly than whether an impenetrable bullpen really exists. In other words, the Mets screwed up no matter how Putz’s health turned out. A look at the Mets roster will tell you how unspectacular this offseason’s been by contrast. A little more than two weeks before pitchers and catchers report, and 11 men on the 40-man roster have yet to be officially assigned numbers, and a couple of them (Eddie Kunz, Tobi Stoner) are no locks to return in what we saw them wear last (40 and 29, respectively). To silence the relentless complaints from fans and columnists, I think the only thing the Mets cared about in the Putz trade was getting rid of old number 48. How dealt with Putz’s injury is another, sadder story. Marc I totally agree. Seems like the wheels got in motion for this immediately after the season when Jeff Wilpon met with Omar and instead of firing him (like he probably should have) decided instead to engage in “addition by subtraction” as a means of repentance for the ’08 collapse. He actually said that. Right then, you knew that they’d go out and throw the most money at the guy with the most saves (a mistake they’d already made with Wagner) and basically give away everyone else. It was dumb, and you know what? I’m afraid Rodriguez has yet to show us his worst. Matt, you are obviously correct with Green. He’s one of those guys I’m already forgetting were on the club last year. Sort of reminds me of the Jets of the past few years. Since the front office works collaboratively, they need to have the right balance of personalitites. Omar and the Wilpons don’t work well together which is obviously why no coherent strategy is set or followed, which is why mistakes like trading for the wrong person or not checking for injuries happen. The Wilpons are the bosses. Omar thinks he’s more astute on baseball matters than he is. They need their own Gene Michael or Terry Bradway – a guy with outstanding consulting skills who can guide both parties without taking too much credit or blame. 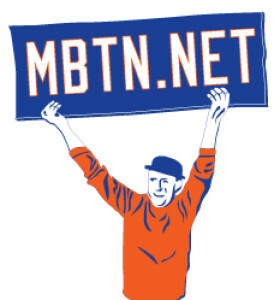 Until then, the Mets will continue their Knicks-like way. Don’t see the Mets reissuing #24 to anyone not named Rickey Henderson… would not be surprised to see Matthews Jr. in #23. Bowman is destined for No. 71, I can feel it. It’d be surprised to see Everts in 22. 65 for him? Now THOSE are the kind of numbers I’m talking about for the likes of Bowman and Everts, LOL! Per the Mets website… Egbert 35, Escobar 45, Everts 61, Igarashi 18, Lopez 32, Marshall 47.